Gold prospectors should be open to collecting other things besides that shiny yellow metal. Are their gemstones at your feet? My second Rock&Gem article was on chalcedony. (external link). 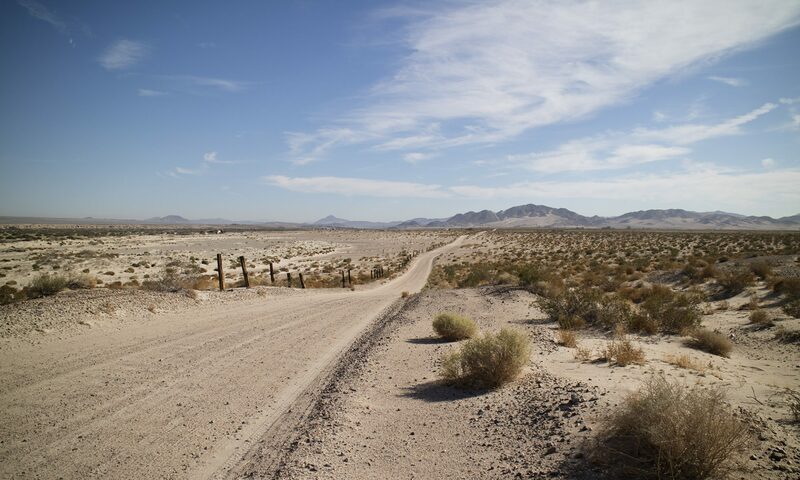 I focused on the Gemfield Gem claims outside of Goldfield, Nevada. To someone not acquainted with lapidary, it might seem that the ground holds nothing but rocks with streaks and swirls of color. How could these be gemstones? It’s all in the process. The upper left rock is what we call rough. It is exactly that, raw rock. That rough is first cut into 1/4 inch pieces which we call slabs. 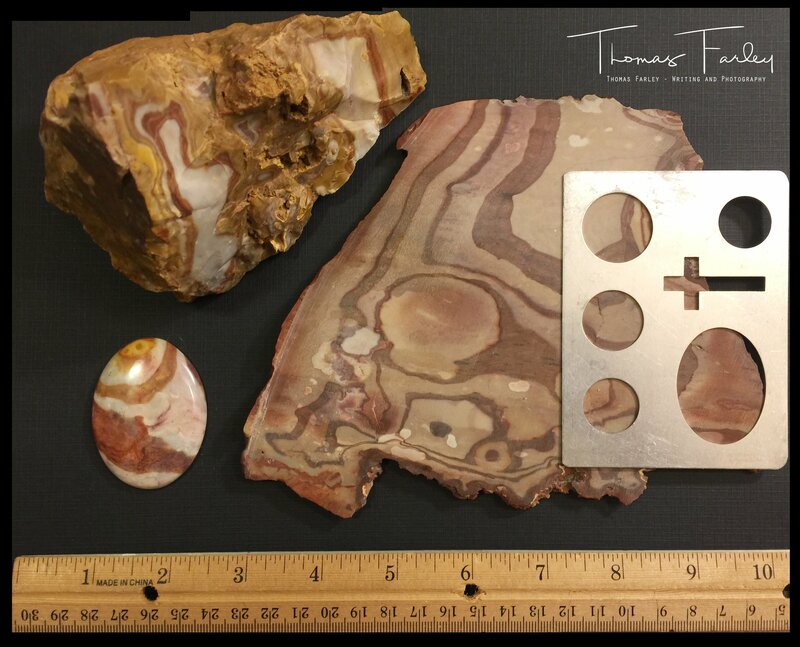 These flat pieces can be wetted down with a spray bottle or soaked in water, to give the cutter an idea how the rock may look when polished. After slabbing, a metal template is run over the slab, moved around until the cutter finds a pattern he or she thinks best. An aluminum pencil is used to outline the chosen circle or shape. The selected area is then cut out of the slab using a rock saw. Finally, a cabochon is fashioned using a grinding and polishing machine. This link shows what these machines look like: http://www.diamondpacific.com/main%20machines.html (external link). This rough to refined process is entirely similar for turquoise, moonstone, amber and countless other gemstones. So, the next time you are out gold hunting, look for any unusual rocks with colorful markings. Your local rock and gem club will have advice on how to work your stones. They may even have a workshop in which you can learn to saw rocks and make cabochons. Here’s a place to start: http://www.amfed.org/club.htm (external link). Click on the image below for a full size picture. Next PostNext New Mexico in October!